Mothers are precious and delicate creatures that should be deeply appreciated. They look after us and don’t spare themselves giving us their love and caress. Going back to the past, you must have some great memories with you and her doing something fun together that easily pop up in your mind. Your mom should be treated like a queen because she devoted her life to raise and bring you up. Your father was part of this as well, but with mothers it’s different. It seem like the mom has a special connection with her children, and she can feel when something is wrong with them. If you’re looking for someone who will always be by your side no matter what you do, the first person you should think of is your mother. Unlike other people around you, Mothers Day Flowers Giftyour parents will never stop loving you. And that’s not their obligation; it just comes naturally. Usually, when kids are growing up, the mother is the one who takes care of them day and night constantly worrying about them when they get sick. Mothers know best! Mother’s Day is approaching, but you already have a family of your own and live away from your parents. You’re wondering how to make your mom happy, since you won’t come home this year for the occasion. 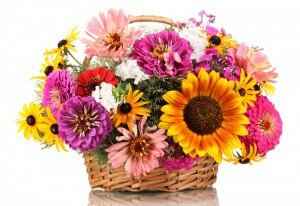 Flower Shops can offer you a suitable decision – send her flowers. Our company can deliver them for you at any location. We provide flower delivery services that come with a friendly staff. Your Mother’s Day Flowers can be made to look extraordinary and like no others. We believe that every mom is special, and she deserves to be caressed with the softest feather. The mother figure is something sacred; at least that’s how we see it. That’s why the flower bouquets that we make for Mother’s Day are treated with our special attention. We want them to look perfect when your mother receives them. Our flower delivery staff has seen the surprise and the smiles of people who receive Mothers Day Flowers Deliveryunexpected gifts. That’s a view which can give a positive emotion that can last for days. Imagine how your mother would feel since the flowers are meant for her. She would be experiencing weeks of happiness. Don’t you want to make her happy? Of course, you do! Well, Mother’s Day Flowers will do perfectly fine especially if you order them from us. Flower Shops will make sure that the flower bouquet for your mother arrives right on time and in a condition that will make her extremely surprised and delighted. And if you live near your parents, you can always visit your mother on that special holiday and bring her one of our gorgeous flower arrangements. You can also spend the whole day with her doing things that she loves together. After all, she of most people in the world deserves your attention, and she has to receive it without asking. Spoil her with a dinner in her favourite restaurant or cook her favourite meal for her at home. Lay the table beautifully and put our delightful flowers in the middle to bring brightness to the atmosphere. If you know the type of her favourite flowers, you can send a huge flower arrangement to her, and we bet it’ll be appreciated because you remembered. Order a bouquet that you know she’ll be absolutely astonished at; it doesn’t even have to be that big as long as it’s sent with love. Imagine the surprise in her eyes when she receives your unexpected flower gift. All these and even more can be achieved by one phone call to ‎020 3900 2440. Our company will be honoured to make those flower bouquets for your mother.